Description: A free customizable daily work schedule brainstorming template is provided to download and print. 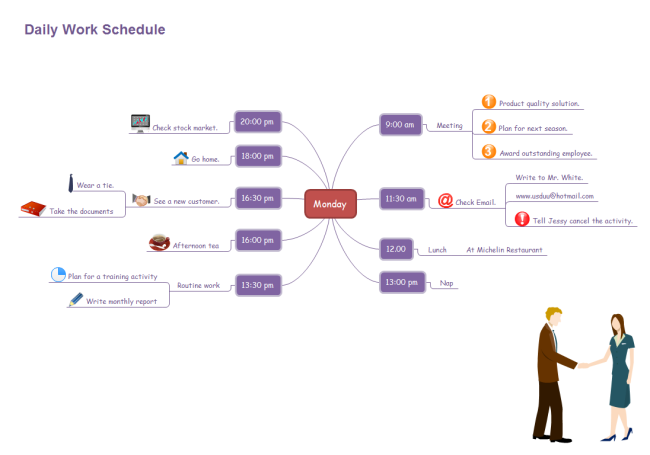 Quickly get a head-start when creating your own daily work schedule brainstorming diagram. It is of great help to anybody who wants to organize daily life schedule and manage time efficiently.